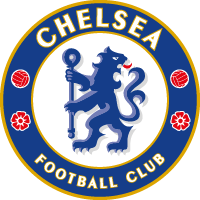 Chelsea Ladies Football Club was established in 1992, and has been affiliated with Chelsea Football Club since 2004. They currently play in the FA Women’s Super League. The Ladies WSL season runs from March until October with the team also competing for the FA Women’s Cup and Continental Tyres Cup. Chelsea Ladies play their home games at Wheatsheaf Park in Staines. In 2015, Chelsea Ladies won a famous double, becoming champions of the FA Women’s Super League for the first time and winning the FA Women’s Cup at Wembley Stadium. Chelsea Ladies have competed in the top flight of women’s football since 2005 when the Blues won promotion to the FA Premier League National Division. In 2005-06 manager George Michealas left after four years in charge and his first top flight season before Shaun Gore took over. He went on to win a promotion/relegation play-off against FA Northern Division runners-up Liverpool 4–1 on aggregate to stay in the FA Premier League National Division. After an eighth-placed finish in 2006-07, Gore drafted in England players Siobhan Chamberlain, Casey Stoney and Eniola Aluko. World Cup winner Lorrie Fair, regarded as one of the best midfielders in the women’s game, also signed as Chelsea finished 2007-08 in fifth spot. Chelsea Ladies introduced a new manager for the 2008-09 season, former Arsenal Ladies reserve team coach Steve Jones. The Blues finished third but Jones departed in January 2009, leaving Casey Stoney as player/manager. Matt Beard took over for the 2009-10 campaign and quickly made an impact, guiding Chelsea to third place in the league and an FA Cup semi-final. In March 2009 Chelsea were named as one of the eight members of the inaugural FA Women’s Super League to start in March 2011. Injury problems saw the Blues finish sixth in the inaugural FA Women's Super League season. Before Beard led the club to their first FA Women's Cup Final in 2012 where they lost on penalties to Birmingham City. Beard left the club months after and was replaced at the helm by Emma Hayes in June 2012. Hayes has brought some top class international players to the club since her appointment as the club has gone from strength to strength. 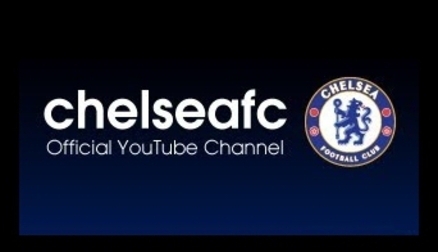 Blues News, unseen footage & highlights: It's all on Chelsea's YouTube channel! Stream Chelsea straight to your PC! 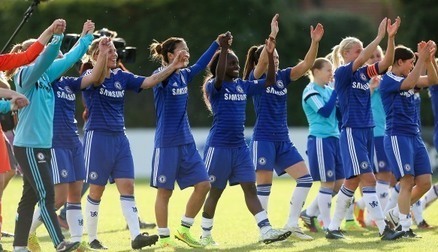 Chelsea Ladies are on Twitter @ChelseaLFC... Get involved!